It's been a while again. I'm really not doing well in the blogging community this year so far haha. But uni is still so exhausting. July is going to be horrible, I'll be busy with exams the whole month. I want to cry when thinking about it. This post is something very important to me and it's probably more personal than I thought it would be. As the title suggests it's about creativity. Staying creative is something I've neglected in the last years a lot. When I was younger I used to draw a lot and I had a lot of great ideas for bigger drawings and paintings. Maybe a little too big, for I wasn't able to make them look like I imagined it. Since I'm a perfectionist I got pretty annoyed, I also didn't improve as fast as I wanted to and soon lost my interest in drawing. I always doodled on all of my notes in school and now in uni, too, but I haven't created anything 'big' since (except as an art assignment in school). Now I'm in a position in which I very much regret that I've lost my ambition. I'm also trying to work on my perfectionism and most importantly I'm now trying to do creative stuff as often as I can. 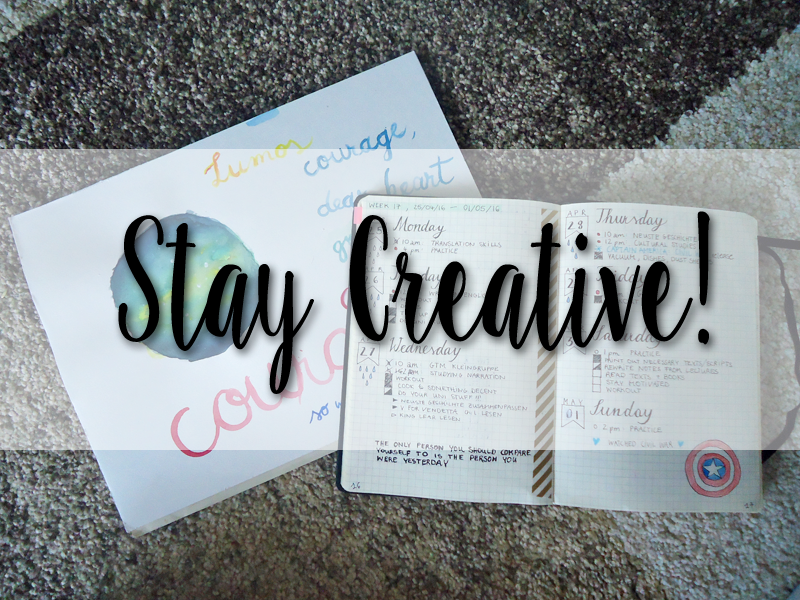 And I want to share with you everything I'm doing to stay creative! 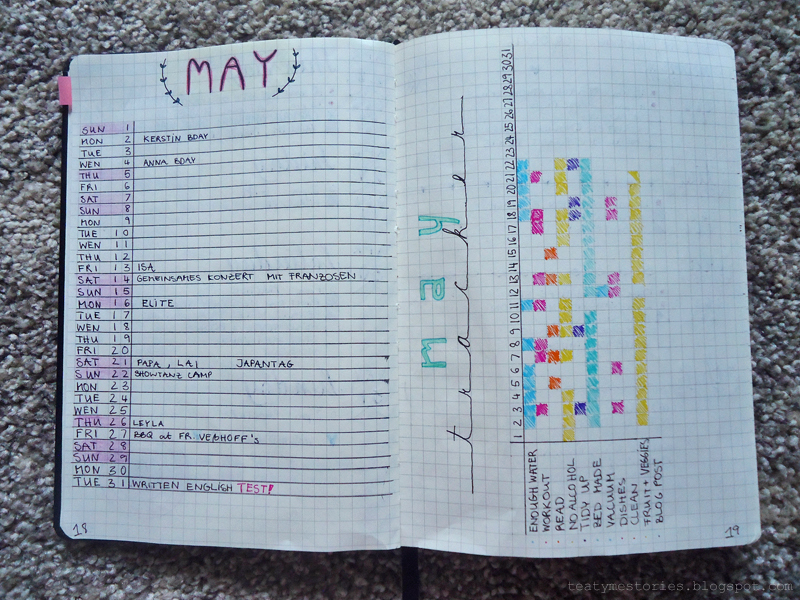 I've recently started a bullet journal and it's not only a great way to stay organised (well, I'm still not that organised to be honest haha but whatever) and also to stay creative! Every evening I prepare the following day in my journal and think about all the things I have to do, then I write them down. I use different fonts and styles every week or month. It's amazing! I also seek inspiration for it on Pinterest and Instagram! 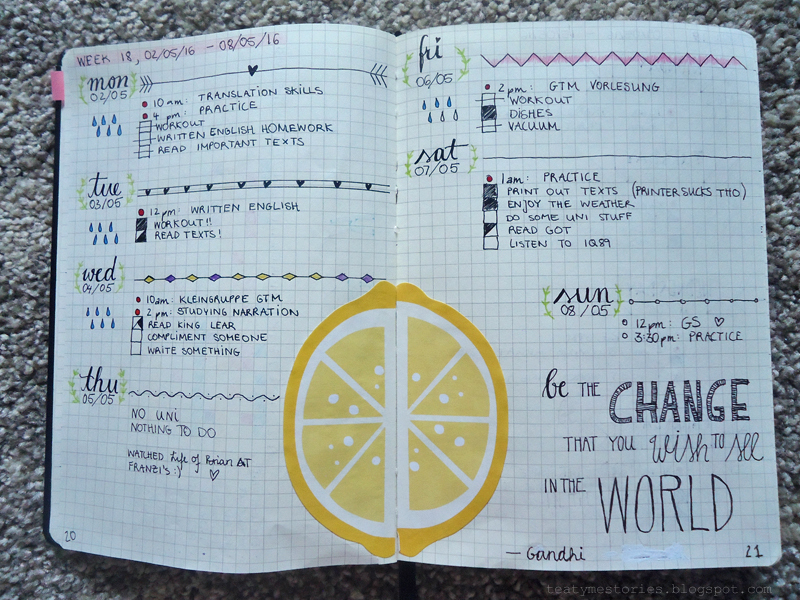 There are soooo many gorgeous bullet journals out there! If you're keeping one I'd love to see them and if you don't yet you might want to start now, don't you? I also love hand lettering. 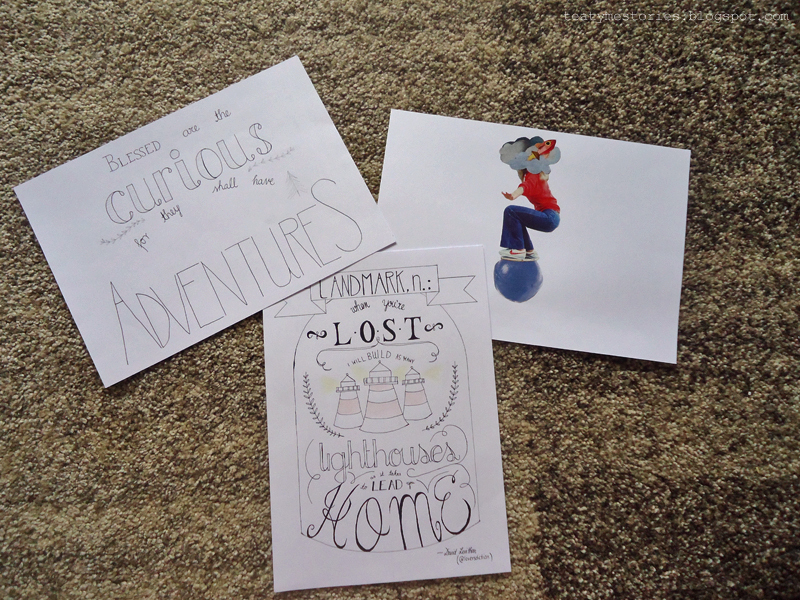 Just take your favourite quote and write it down in different fonts and styles. Or look through your old fashion magazines and put together some collages. To be honest I don't think I've ever finished a work I started except for some headbands I did. I'm not that bad (I know the basics and they turn out quite well), I'm just somewhat inconsistent I guess. It always takes more time than I thought it would and then I can't find time and then I forget about it.... that's the circle of my knitting life haha. I'm trying though. And one day will finish something and then I'll wear it! I found some cute new patterns lately (looking for free and nice patterns is exhausting) and I hope it will turn out nicely when I crochet it. There are also a lot of tutorials for beginners on Youtube, if you're interested! 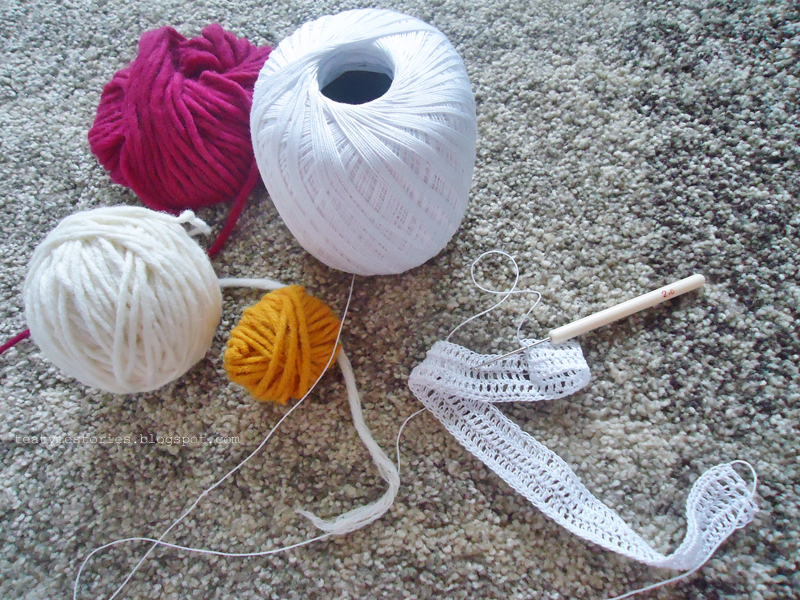 Grab some yarn and a hook or needles and get started! Write down whatever is on your mind, write poetry or fanfiction. When I was younger I wrote a lot of fanfiction (and also some poetry) but I haven't done that in years now. Booooo! I still write into something like a diary when I'm down but that's not the same as writing fiction. I think I'll just use some of my old fanfics and rewrite or continue them as a practice. Or start a new one. And I'll also try to write some poetry again. I can't believe that I've neglected those things for so long! Such a waste of time! And now I'd love to do all the above at once haha. I'm so inspired right now. And I hope you're too! Remember: it takes a lot of time to learn new things and you have to practice a lot to get better. But don't put yourself down and never stop! You'll only regret it later! How are you staying creative? I'd love to see some of your artwork! I have the same thoughts lately!For me being creative is really important but lately i see that i lack on it!Blogging can consider as a creative outlet but still i feel like i miss this part in my life! Aw I love your journal! 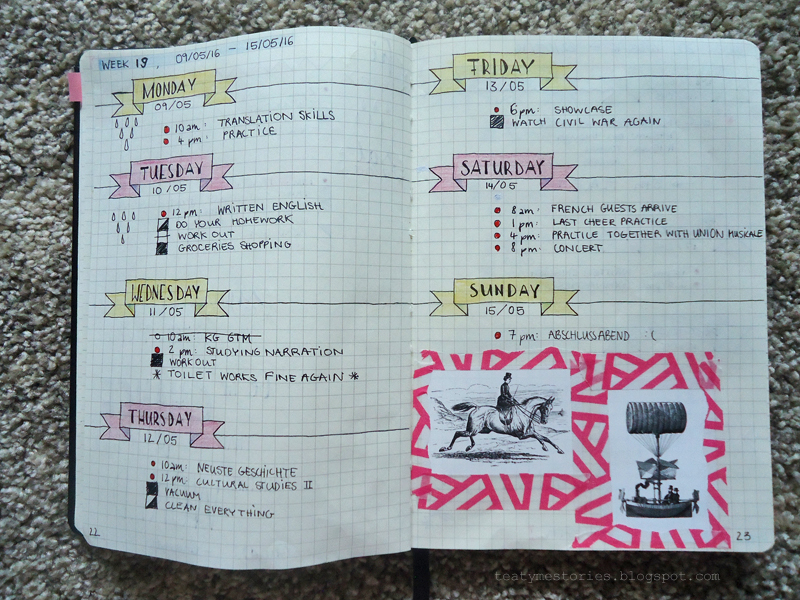 I'm not ever really as creative as I wish to be - it seems like a really great habit to keep. If I'm going to get into any forms of art, it's this kind of thing. I learnt how to do fake calligraphy for when I made a scrapbook a little while ago but I don't use my 'skills' nearly as much as I should. Thanks for the ideas!